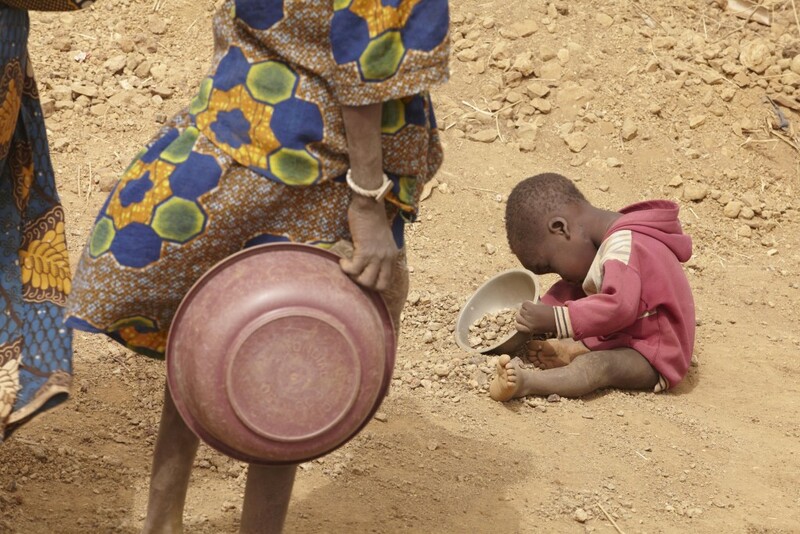 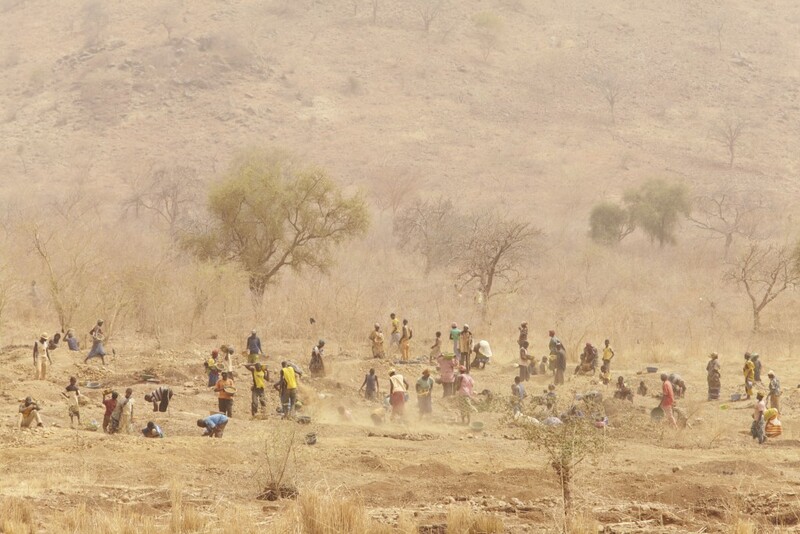 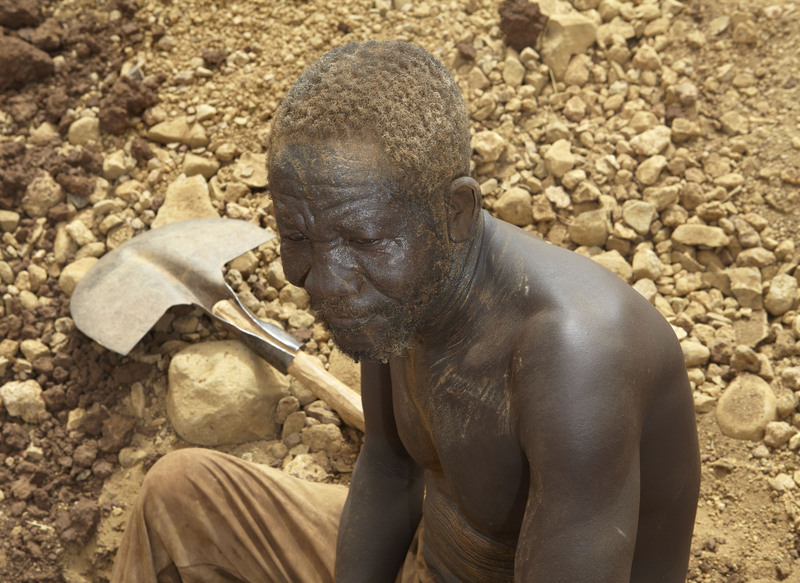 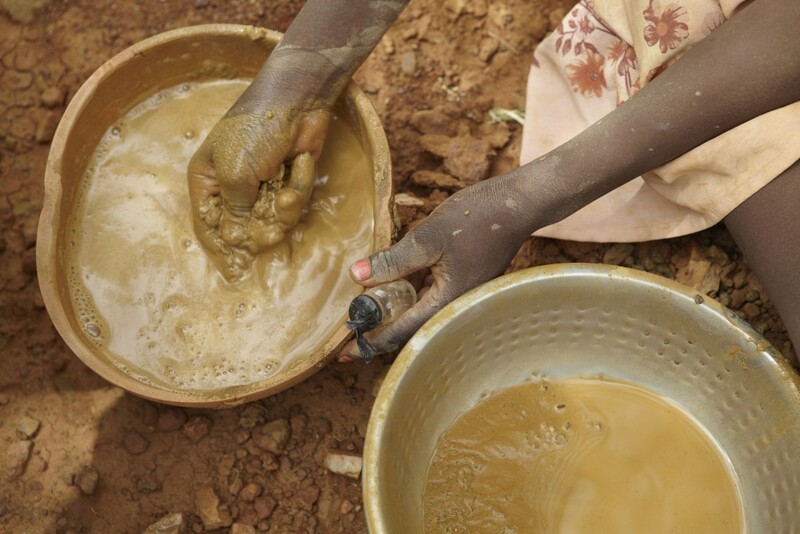 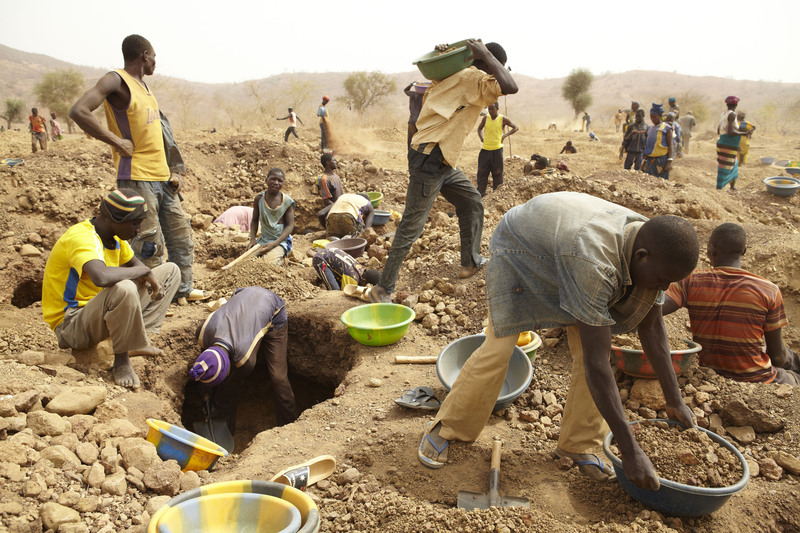 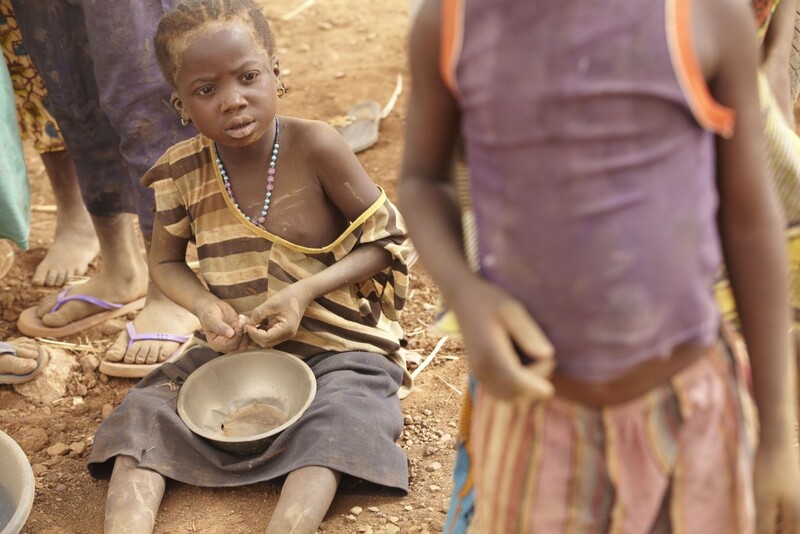 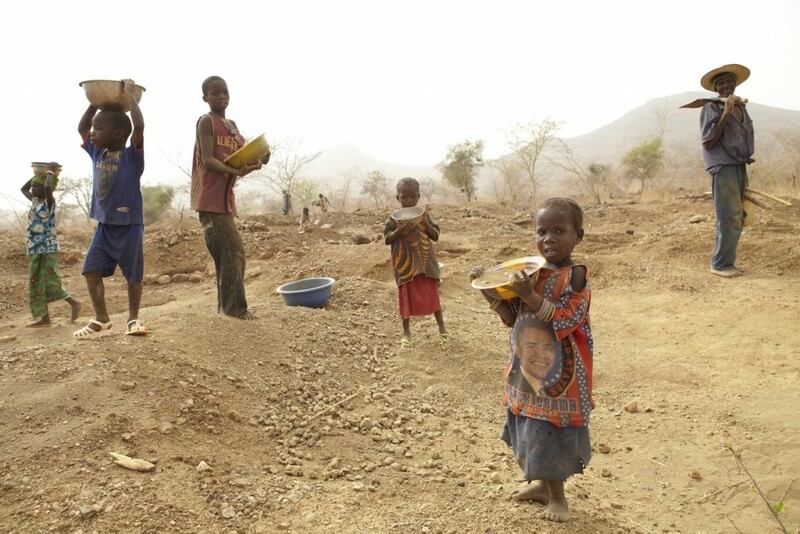 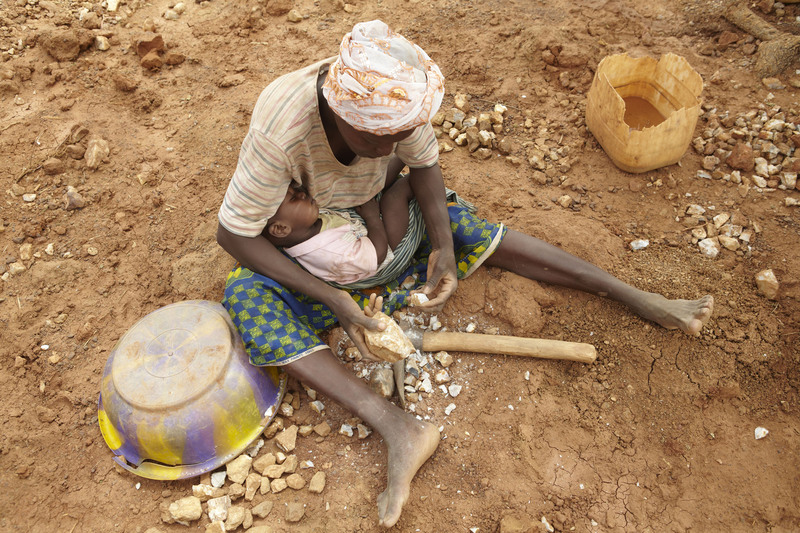 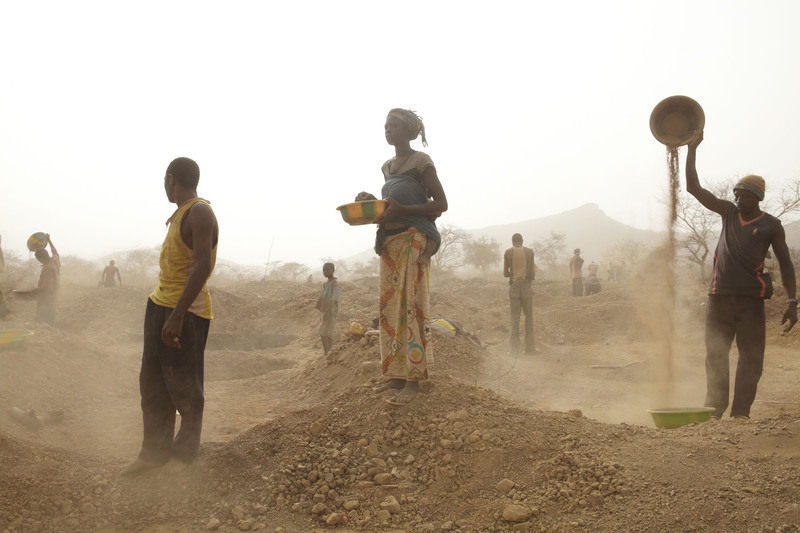 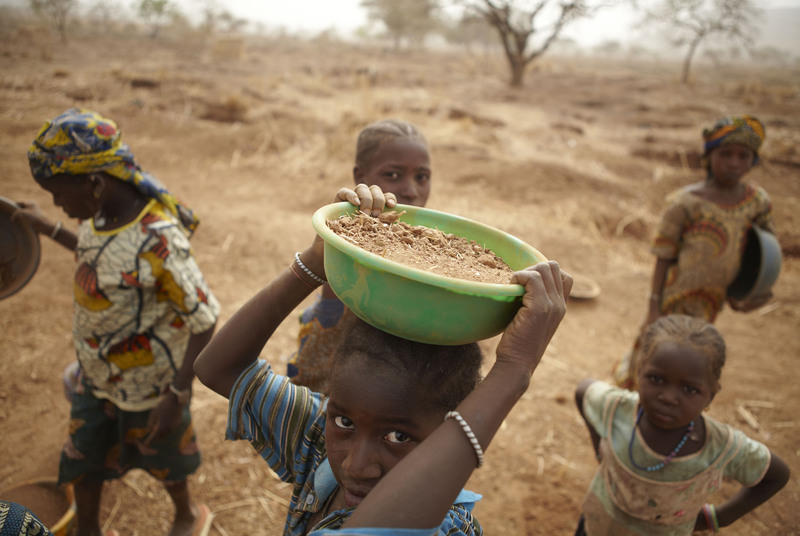 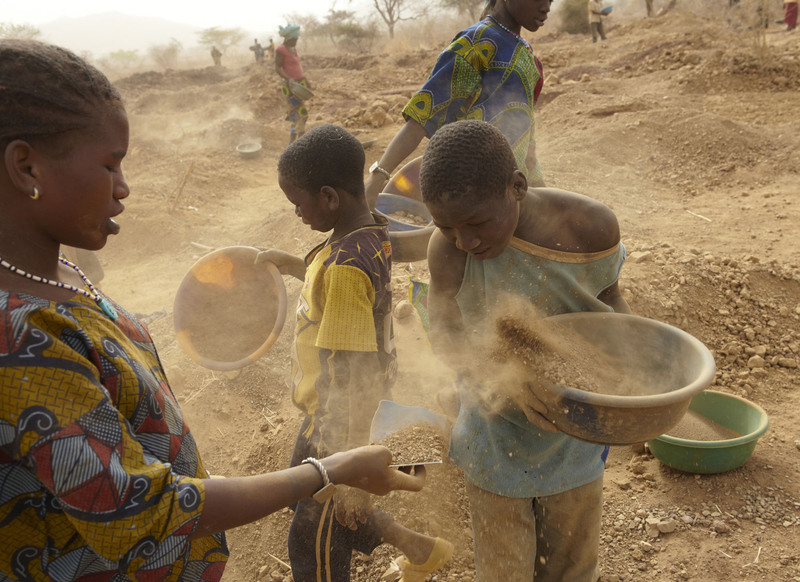 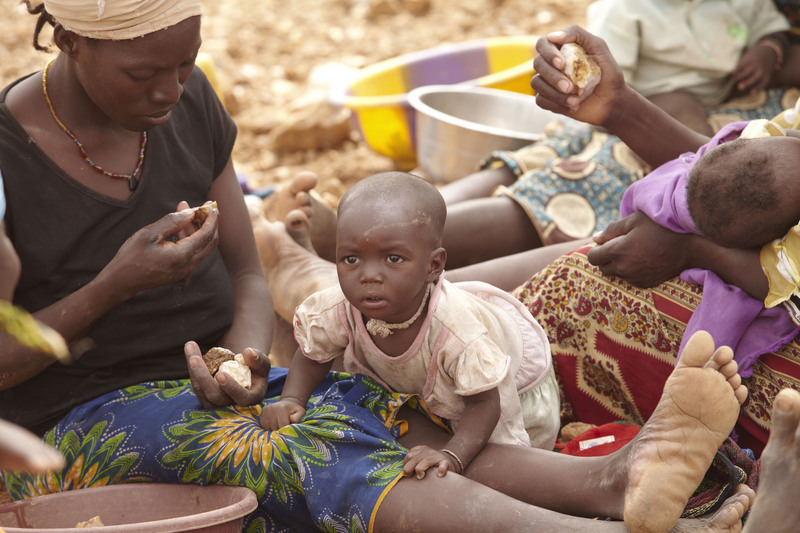 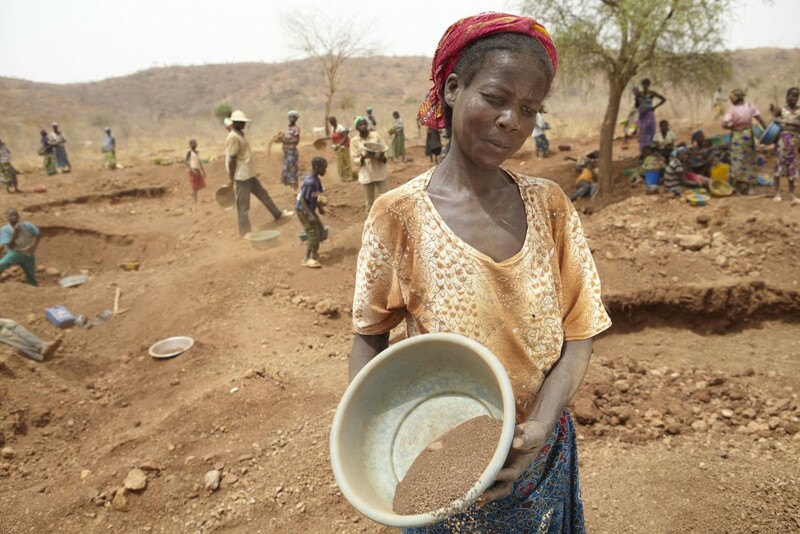 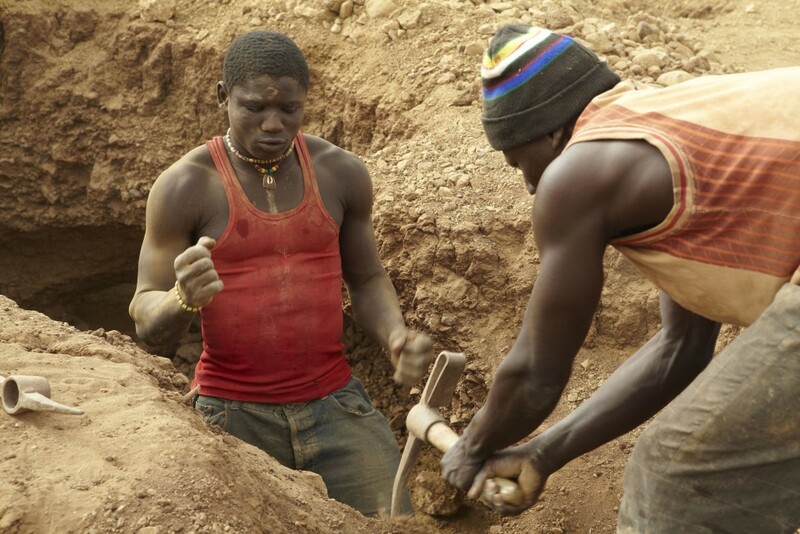 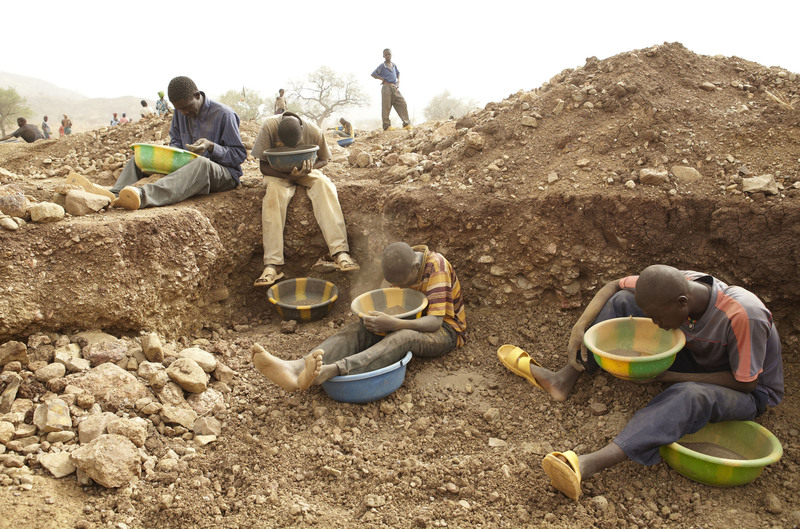 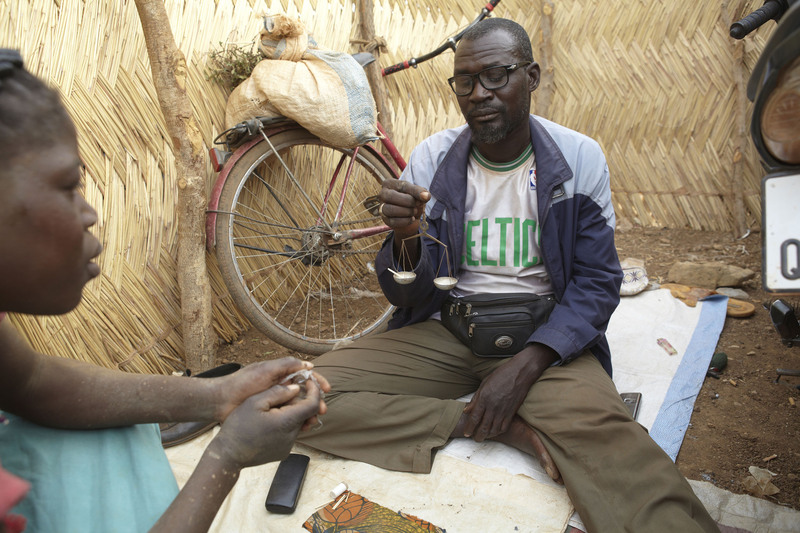 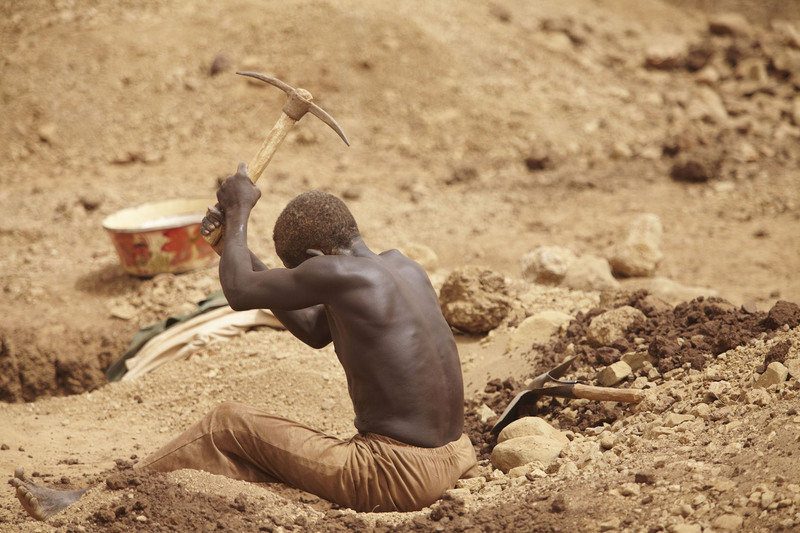 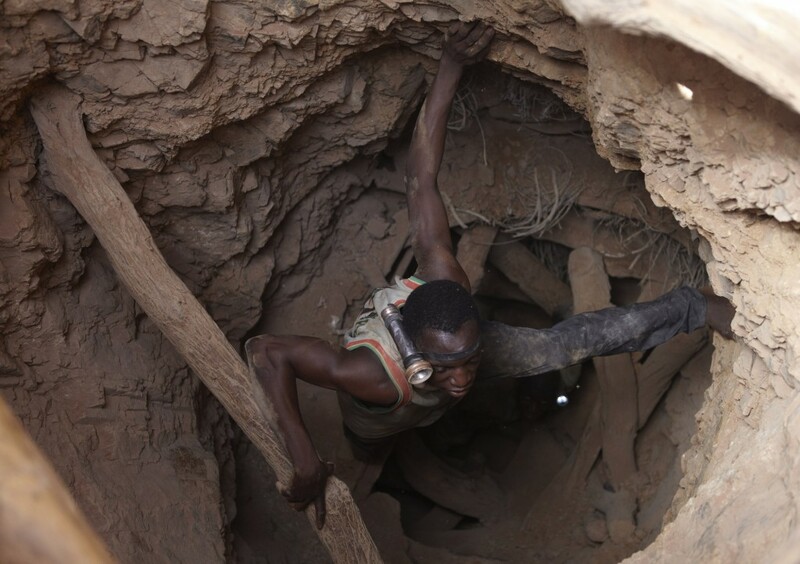 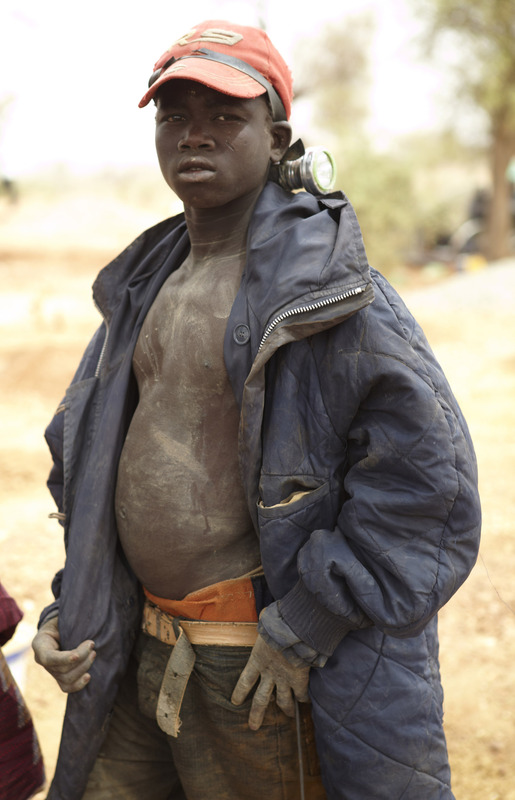 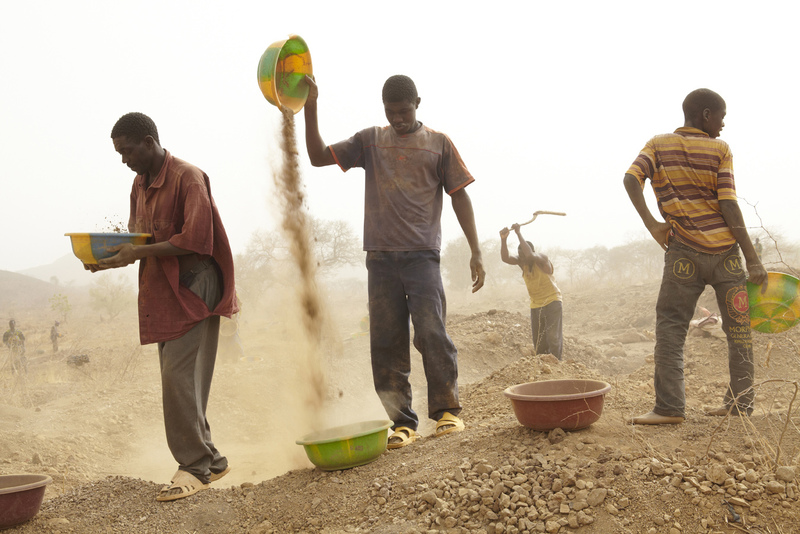 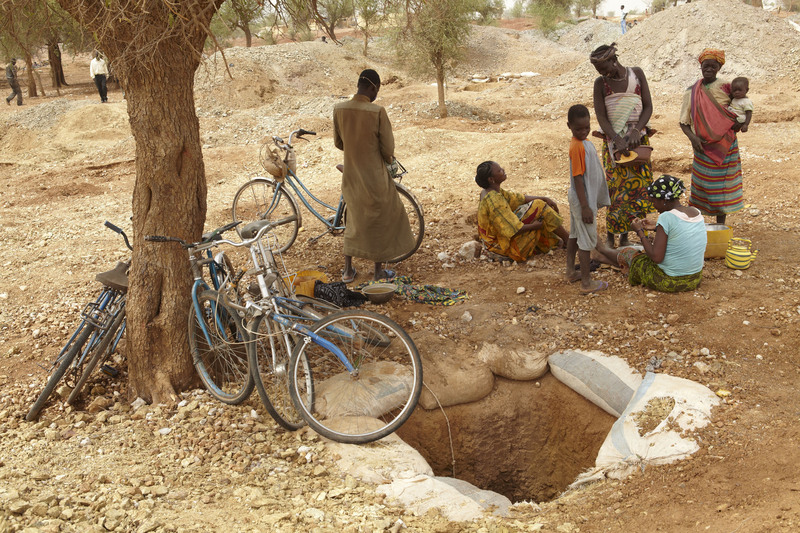 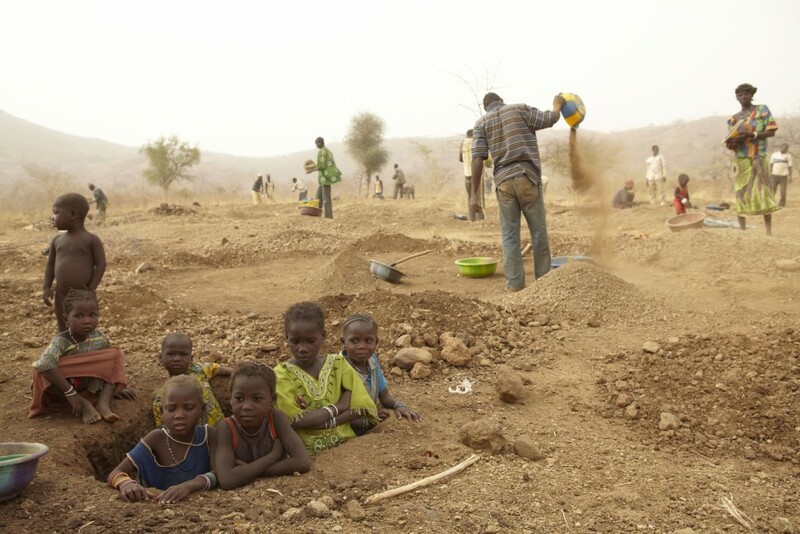 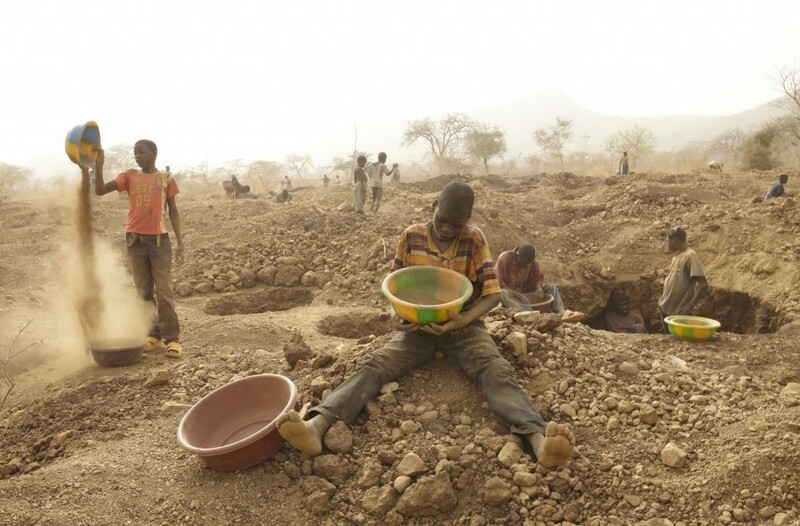 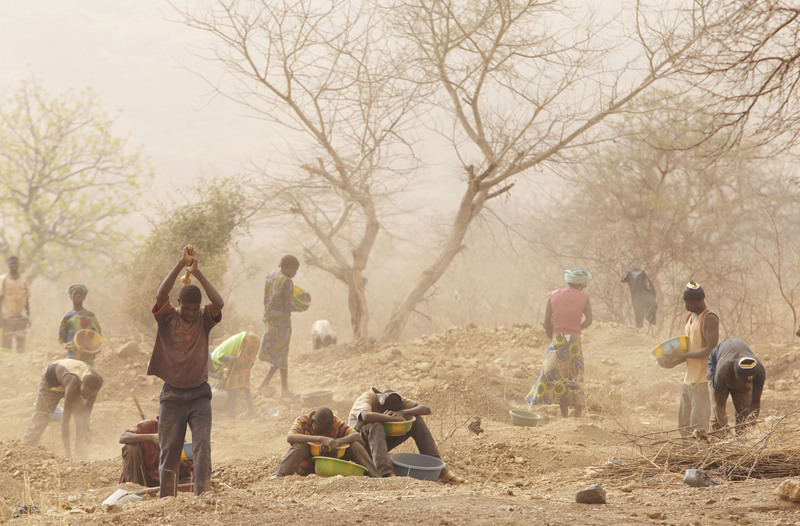 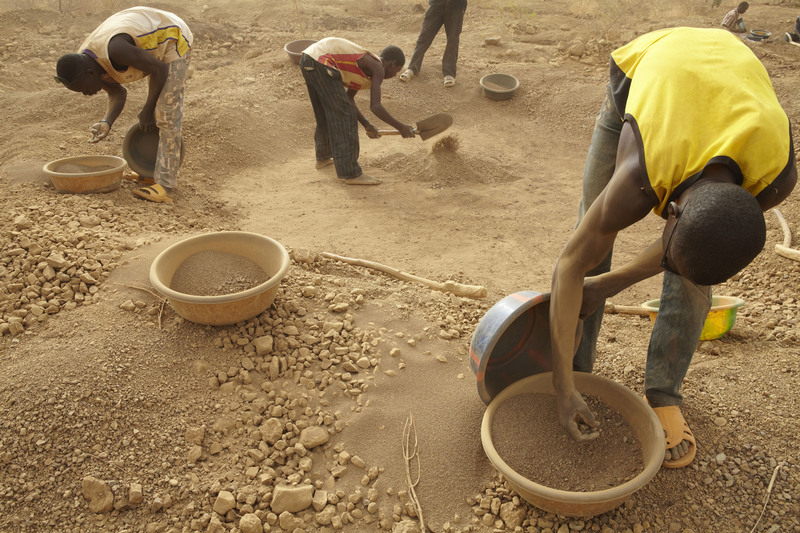 In Burkina Faso there is a Gold-rush of a different kind – not to get rich quick, but to keep from going hungry. 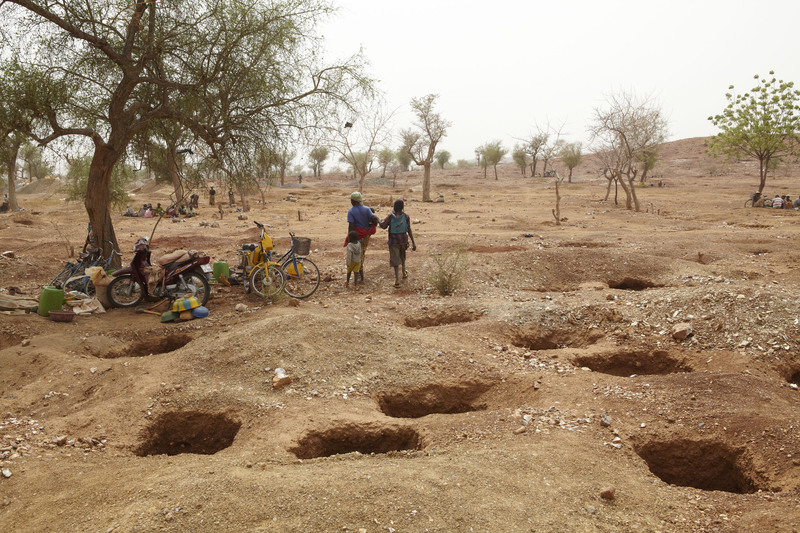 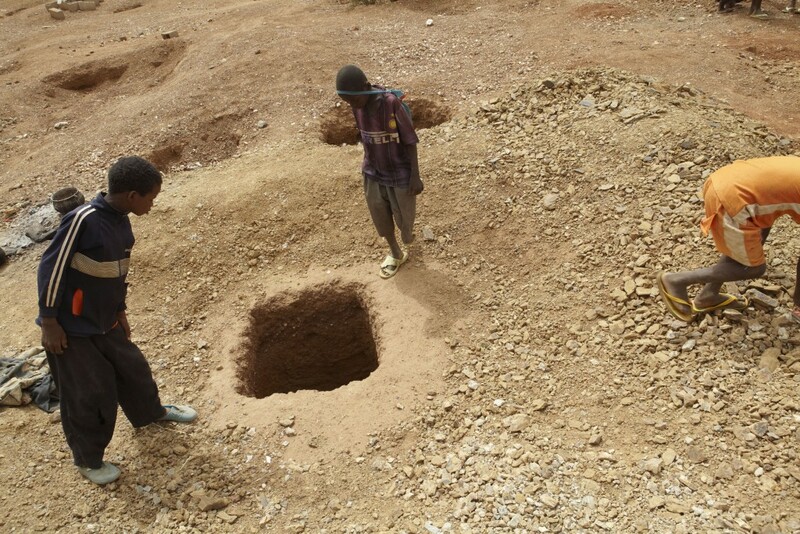 Successive droughts are making the once fertile farmland too dry to support the population’s food needs, so desparate families are taking to digging into the earth to look for gold. 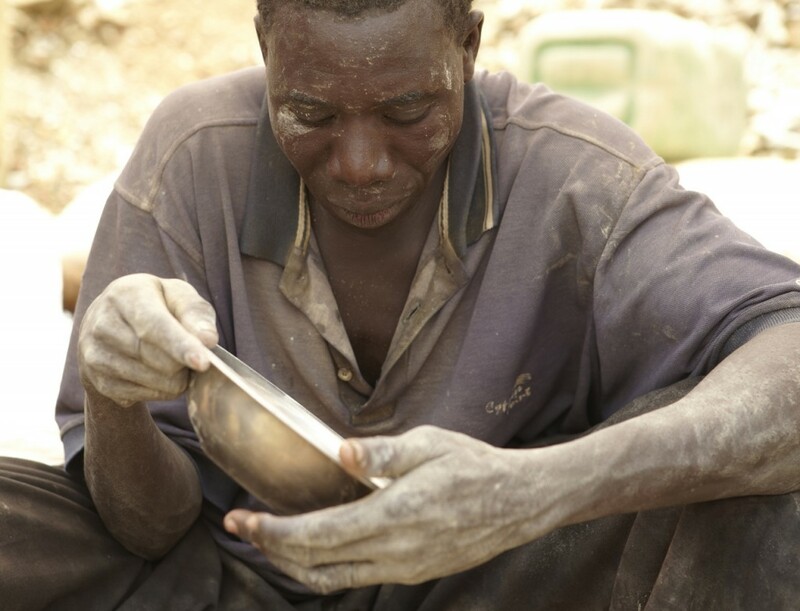 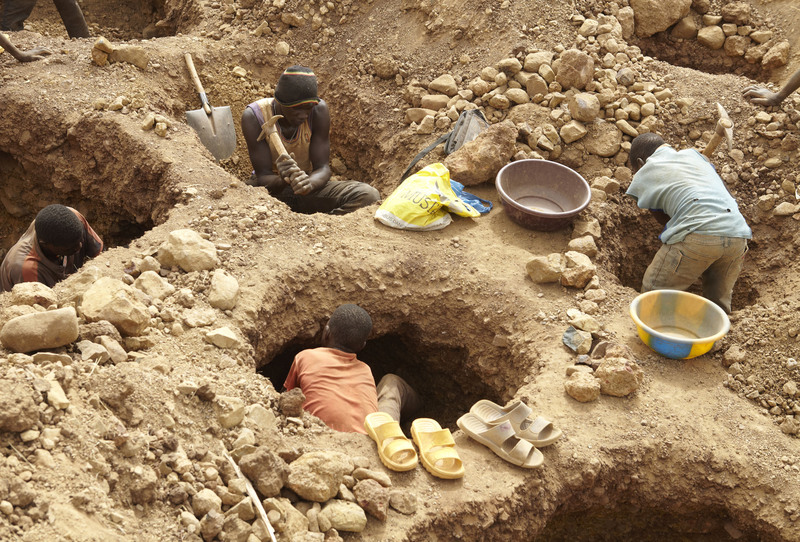 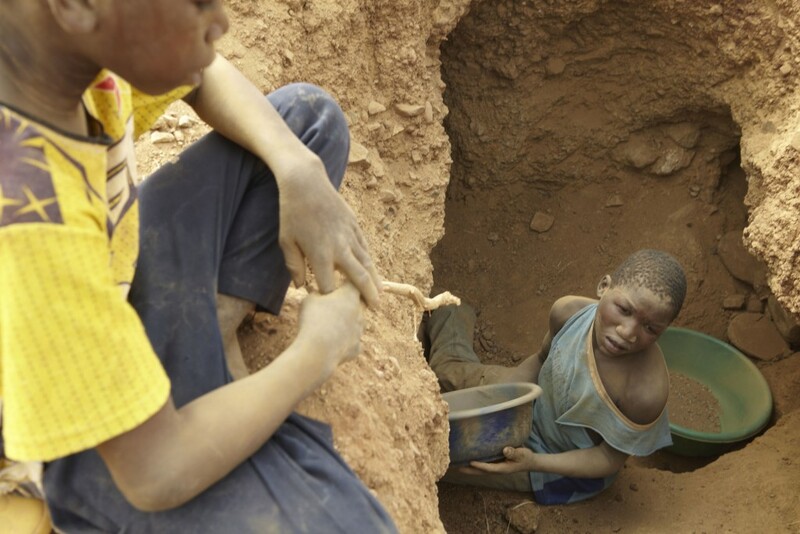 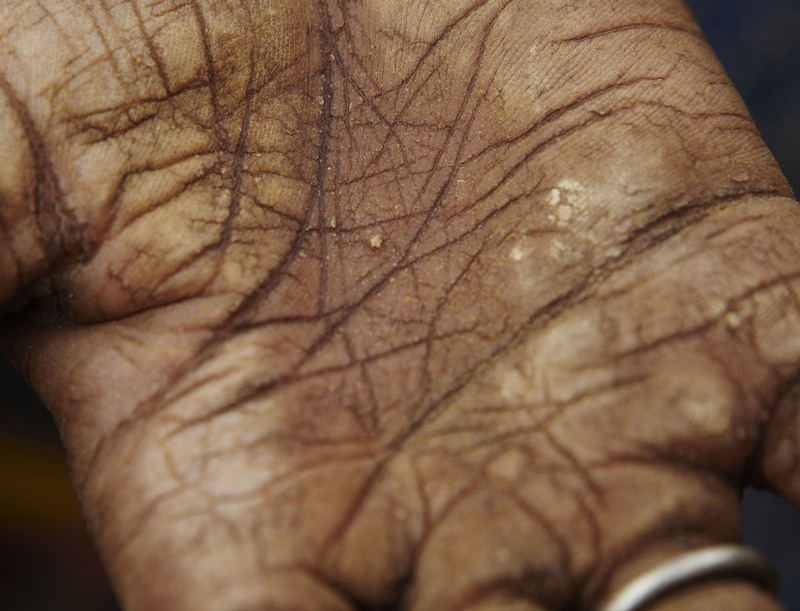 This precious metal is the country’s biggest export, and whilst it has professionally-run gold mines, scattered all over this small country are over 600 make-shift gold-mining sites where it’s every man, woman and child for his or herself. 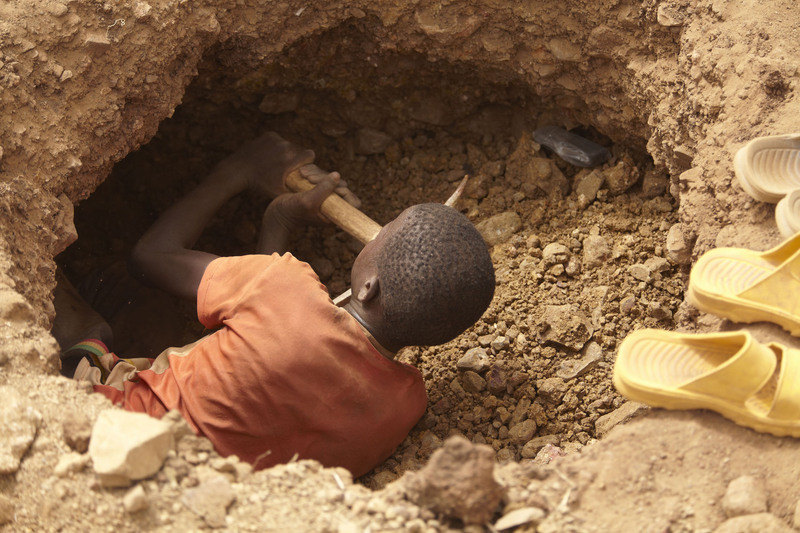 It’s back-breaking often dangerous work, using the most basic of tools, with as many as 20.000 children working on these sites – often missing school to join their parents in the search for this precious commodity. 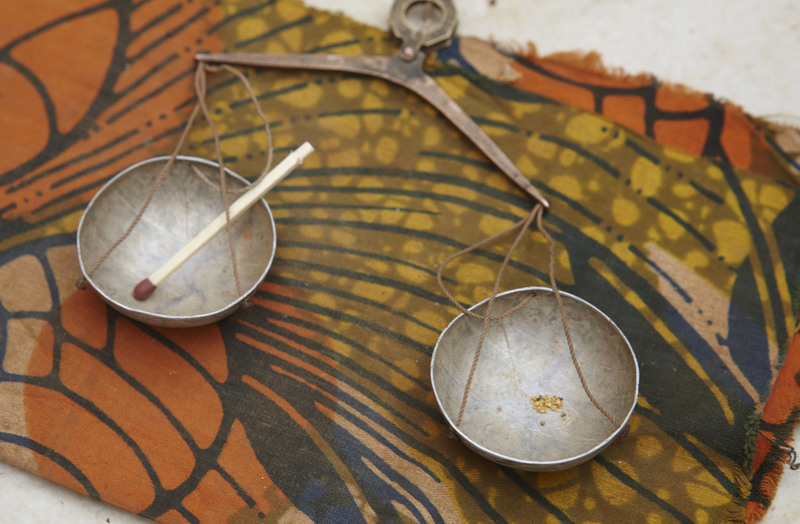 More often than not, only a few tiny grains are found after the gold is separated from the dusty earth or extracted from the rock – enough to buy a few bowls of rice.